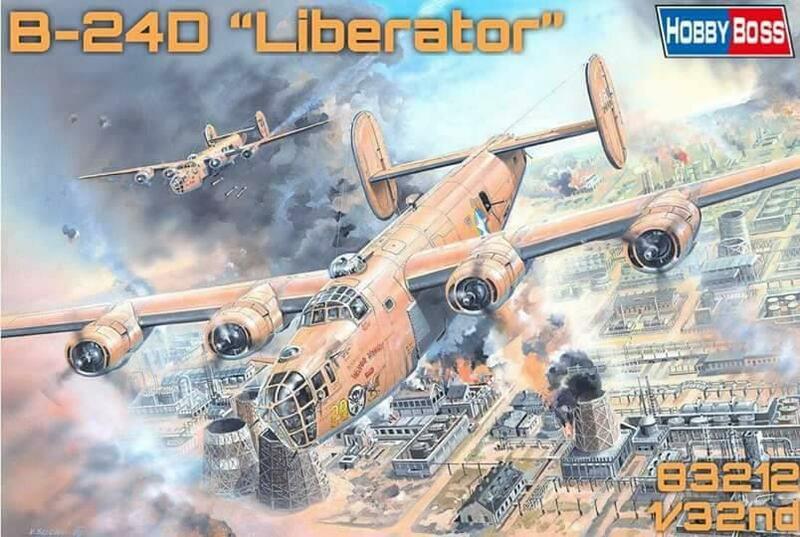 Hobby Boss’s two 1/32 B-24s, much vaunted in recent months and previewed at Nuremberg Toy Fair in February, are now about to hit the hobby shelves. No price confirmed, and no in-box reviews that I can see yet, but I see that pre-orders are now being taken, so it must be imminent. 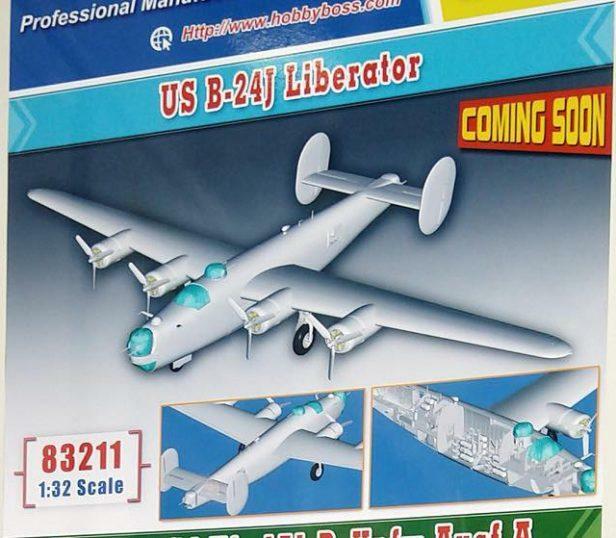 1/32 Liberator ….. that’s gonna be HUGE , where would you put it ? and anyway bigger isn’t always better as I keep on reminding the little lady. Some people are complaining re the size and price of these big models. HK’s new 1/32 Lanc is a monster, and if their B-17s are anything to go by, the price will be in the hundreds. A fool and his money eh?……. I haven’t either. A handful of 1/48 kits and I’m scrambling, wondering what I’ll do with my next build! 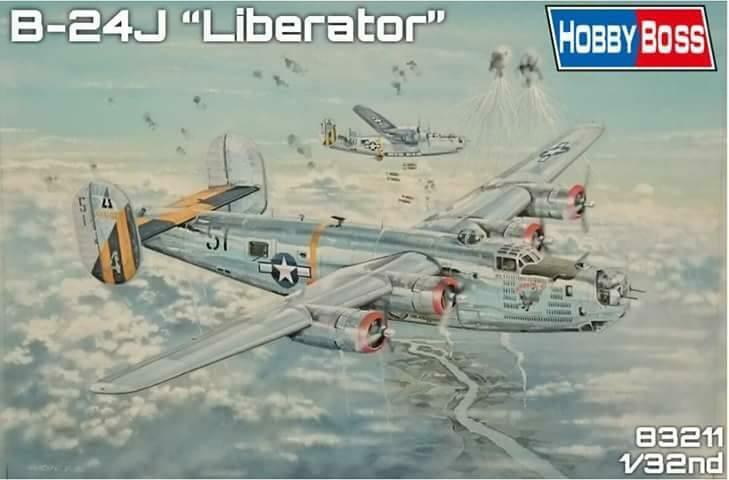 A 1/32 Liberator? Where? Well, HK had what I thought was a really neat idea to include a hook that you bolt on to your wall so the B-17 would hang from the bomb bay like a painting. I would imagine any of these kits could also be made so the wings could be removed for storage. It would be neat to build any of these three, but my 1/48 B-36 kit (also crazy big) is nearly ready to ship so I have that money on hold right now. (I did check the dimensions and it will fit in the back of my Hornet so I can get it to shows!) I gotta check up on the Lanc! It has been a while since I read anything about it. Buying one big thing with one large up front cost (pay the price and watch her get mad) or spread the costs over the year (and she won’t notice). When I was still “in the hobby”, I actually preferred that scale. 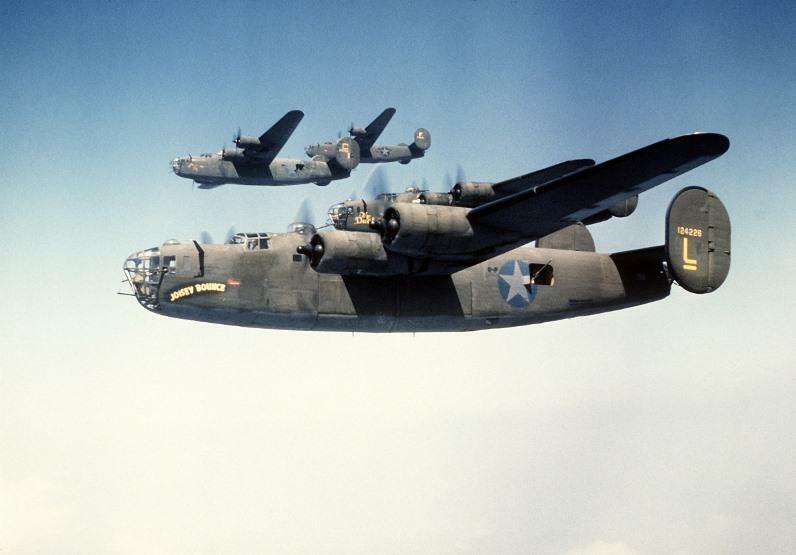 Wonder what the wingspan of a 32nd B-24 would be…? Definitely a ceiling hanger – no question. Forty-one and a quarter inches–or a meter and a little bit. HK supplies a mount that you can attach to the bomb bay on their B-17 and then you can hang it on the wall. Some folks have wired the tail stabs and have hung the thing on the wall. The ultimate is to place it under glass in a coffee table along with you favorite coffee table books… Donate it to a museum. You wonder about the R/C guys who have quarter scale flying models… what do they do? Again who can afford? I remember seeing what I thought was an HK B-17 for £180 (more?) and thinking that was the cheapest I’d seen the kit priced at, then realised it was the AFTERMARKET DETAIL-UP set on it’s own lol. Wow this one has to be a huge beast !!! Thanks for sharing this with us. Really like the box art. I want it, I need to build it, I have the B-17 and B-25. Someone once told me I was dreaming because I wanted a 1/48 Stirling. Too big they said… if they can do these in 1/32 … there’s hope for me yet. .